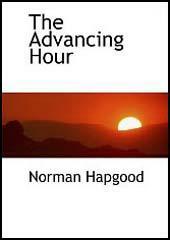 Norman Hapgood was born in Chicago, Illinois, in 1868. After studying at Harvard Law School he went into journalism. Hapgood became editor of Collier's Weekly in 1903. He soon developed a reputation of employing the country's leading writers. In May, 1906, he commissioned Jack London to report on the San Francisco earthquake. As well as London's account there were sixteen pages of pictures. Under Hapgood's guidance, Collier's Weekly became involved in what became known as muckraking journalism. The most important of these writers who contributed to the journal during this period included Ida Tarbell, C. P. Connolly and Ray Stannard Baker. Campaigns instigated by Norman Hapgood involved the direct election of senators, reform of the child labour laws, slum clearance and votes for women. In April 1905, an article by Upton Sinclair, Is Chicago Meat Clean, helped to persuade the Senate to pass the Pure Food and Drugs Act (1906) and the Meat Inspection Act (1906). After working for Collier's Weekly (1903-12) Hapgood edited Harper's Weekly (1913-16). In 1919 Woodrow Wilson appointed Hapgood as his Minister to Denmark. 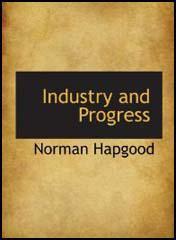 Norman Hapgood, who also edited the International Magazine (1923-25), died in 1937.